Bloom School of Music And Arts LLP | Happy 50th Birthday, Singapore! 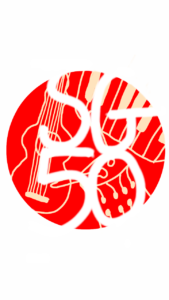 This 9 August, 2015, Singapore celebrates her 50th birthday! It is our country’s Golden Jubilee, and our government has declared an additional day, 7 August 2015, as a public holiday. Come this long weekend, you’ll either love it, or hate it. For those choosing to be in a more reflective mood this holiday, take a listen to this melancholic keyboard arrangement by this talented musician, Whisey Kwan. Indeed music can unite, or divide; a switch of key (from Major to Minor), and you can invoke such a drastic change of emotions! Even a simple instrument like the keyboard can be used to express emotions ranging from cheerful to depressing. If you don’t fancy a meditative state, and prefer to show your patriotism from the comfort of your own home, you can enjoy these original keyboard arrangements–by the same Youtube musician–of your favourite, familiar, and heart-warming National Day songs. If listening to the keyboard or any other instrumental music simply isn’t your idea of holiday fun, and are anticipating making full use of this long weekend, take your pick from these programmes held around Singapore (7-10 August 2015). Whichever activity you choose to do, here’s wishing you an eventful break, and to Singapore, Happy, happy birthday!